China Report promotes the free expression and discussion of different ideas, approaches and viewpoints which assist a better understanding of China and its East Asian neighbours. A quarterly journal of the Institute of Chinese Studies, it attempts to provide a fresh approach which goes beyond the strictly utilitarian area studies without becoming antiquarian. Launched in 1964, China Report has, over the years, widened its interests and aims and transformed itself into a scholarly journal that seeks a better understanding of China and its East Asian neighbours - particularly their cultures, their development and their relations with China. It is an indispensable source of information on China, its society and culture. The journal covers inter-related subject areas - economics, history, international relations, law, politics and sociology. In addition to research articles, the journal carries review articles, book reviews and a documents/speeches section. China Report is a refereed journal in the field of social sciences and international relations. It encourages free expression and discussion of different ideas and approaches which assists in the better understanding of China and its neighbours. It welcomes and offers a platform for original research from a multi-disciplinary perspective, in new and emerging areas, by scholars and research students. It seeks to promote a vigorous debate on all aspects of Sino-Indian relations and to highlight India-China comparative studies, and the multilateral and bilateral initiatives and collaborations across Asia. Tan Chung Professor of Chinese, University of Delhi, Jawaharlal Nehru University, and Indira Gandhi National Centre for the Arts, New Delhi. Only manuscripts of sufficient quality that meet the aims and scope of China Report will be reviewed. Before submitting your manuscript to China Report, please ensure you have read the Aims & Scope. The journal covers inter-related subject areas - economics, history, international relations, law, politics and sociology. It publishes original research articles (5,000–8,000 words in length), perspectives and commentaries (2,000–4,000 words), and book reviews (800–1,600 words) relating to all facets of China and East Asia. Please provide a short abstract (150–200 words) and 5–6 keywords, at the beginning of the article. Use British spellings throughout (‘programme’ not ‘program’; ‘labour’ not ‘labor’, ‘centre’ not ‘center’). Use ‘ise’ spelling instead of ‘ize’—for example ‘organise’, ‘emphasise’. Use per cent not %. Use single quotation marks throughout for quotations and, if required, use double quotation marks within single quotes. Chinese names: In Chinese practice, the family name comes before the given name. Usually, authors from the People’s Republic follow this practice but persons of Chinese ancestry or origin elsewhere have adopted the Western practice of giving the family name last. Therefore, in the former case the names do not have to be reversed in the references. China Report follows the Hanyu Pinyin system of romanisation for Chinese personal names, place names and titles of books, periodicals, etc. In citations where the original uses a different system, its Hanyu Pinyin equivalent should be given in parentheses. Exceptions include names such as Sun Yat-sen and Chiang Kai-shek, that is, names familiar from pre-1949 China. Thus, it should be Mao Zedong and Zhou Enlai respectively instead of Mao Tse-tung and Chou En-lai, unless they are spelled in the older format in a quoted text or as authors. China Report adheres to a rigorous double-blind reviewing policy in which the identity of both the reviewer and author are always concealed from both parties. The reviewers are told to opine whether the article contributes new knowledge; its research questions make sense; language is clear; methodology is unassailable and premises go with the conclusion. China Report requires all authors to acknowledge their funding in a consistent fashion under a separate heading. Please visit the Funding Acknowledgements page on the SAGE Journal Author Gateway to confirm the format of the acknowledgment text in the event of funding, or state that: This research received no specific grant from any funding agency in the public, commercial, or not-for-profit sectors. China Report and SAGE take issues of copyright infringement, plagiarism or other breaches of best practice in publication very seriously. We seek to protect the rights of our authors and we always investigate claims of plagiarism or misuse of published articles. Equally, we seek to protect the reputation of the journal against malpractice. Submitted articles may be checked with duplication-checking software. Where an article, for example, is found to have plagiarised other work or included third-party copyright material without permission or with insufficient acknowledgement, or where the authorship of the article is contested, we reserve the right to take action including, but not limited to: publishing an erratum or corrigendum (correction); retracting the article; taking up the matter with the head of department or dean of the author's institution and/or relevant academic bodies or societies; or taking appropriate legal action. 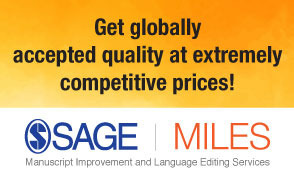 China Report offers optional open access publishing via the SAGE Choice programme. For more information please visit the SAGE Choice website. For information on funding body compliance, and depositing your article in repositories, please visit SAGE Publishing Policies on our Journal Author Gateway. At the end of the article, a consolidated alphabetical list of all books, articles, essays and dissertations referred to (including any cited in the tables, figures, graphs and maps) should be provided. China Report adheres to the Chicago Manual of Style, 16th edition reference style. Yu Xintian. 2010. Zhangwo guoji guanxi de miyue: Wenhua, ruan shili yu Zhongguo duiwai zhanlve [Decoding International Relations: Culture, Soft Power and China’s Foreign Strategy]. Shanghai: Renmin Chubanshe. Vogel, Ezra. 1989. One Step Ahead in China: Guangdong Under Reform. Cambridge, MA and London: Harvard University Press. Wei, Yehua Denis. 2000. Regional Development in China: States, Globalization, and Inequality. London and New York: Routledge. Chen Cai, Yuan Shu-ren, Wang Li and Godfrey Linge. 1997. ‘The North-East: Searching for a Way Forward’, in Godfrey Linge (ed.) China’s New Spatial Economy: Heading Towards 2020. Hong Kong: Oxford University Press, 144–66. Cheng, Joseph Y.S. 2003. ‘Guangdong: The Challenges of the WTO’, in Joseph Y.S. Cheng (ed. ), Guangdong: Preparing for the WTO Challenge. Hong Kong: Chinese University Press, 1–34. Zhang, Tie Jun. 2005. ‘China: Towards Regional Actor and World Player’, in Mary Farrell, Bjorn Hettne and Luk van Langenhove (eds), Global Politics of Regionalism: Theory and Practice. London and Ann Arbor, Michigan: Pluto Press, 237–51. Chao, Chien-min. 2003. ‘Will Economic Integration between Mainland China and Taiwan Lead to a Congenial Political Culture?’, Asian Survey, Vol. XLIII, No. 2, March/April, 280–304. Ma Ying and Zhao Gancheng. 2009. ‘Evolution of Guiding Principles and Strategies of China’s Periphery Policy’, International Review, Shanghai Institute for International Studies, Vol. 2, http://www.siis.org/cn/en/zhuanti_view_en.aspx?id=10012 (accessed on 15 July 2010). Shambaugh, David. 1996. ‘China’s Military in Transition: Politics, Professionalism, Procurement and Power Projection’, China Quarterly, Vol. 146, June, 265–98. Yang Wenwu and Ni Xiangqin. 2007. ‘ZhongYin jingmao hezuo xianzhuang, wenti ji qi duice’ [Sino-Indian Economic and Trade Cooperation Situation, Problems and Countermeasures], Shehui Kexue, No. 9, 16–24. The Editor (China Report), Institute of Chinese Studies, Delhi, India.